Our Sojourn at DRIEMASTER a properly maintained property We were a group of 6 people : ( 4 from United Kingdom , 1 from France and another one from Germany ) . 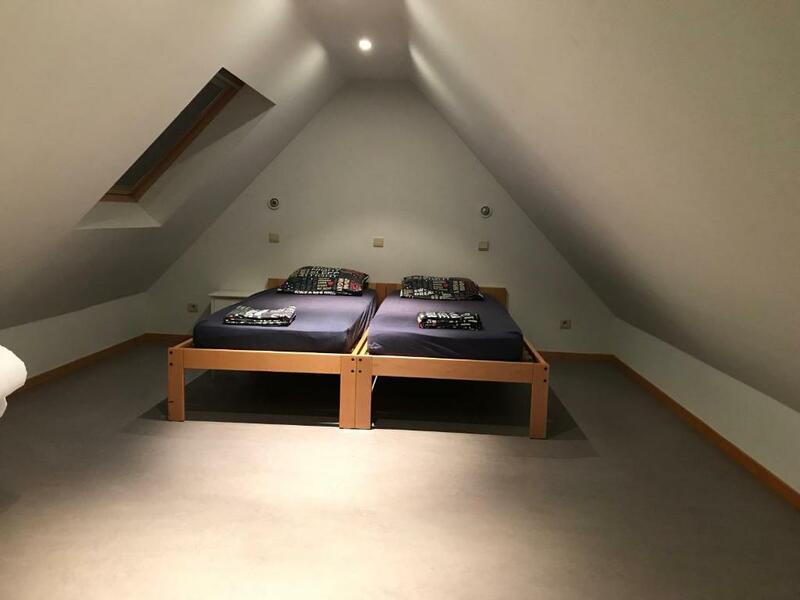 We do like the property a lovely accommodation Quiet area conveniently located 45 min away from Dunkirk port and about 10 minutes walk to the seaside ( a lovely beach ) The property was really nice with a good level of cleanliness , good infrastructure and rooms are good size . It meets all requirements for a family or group of people . l recommend people this property whether for business or leisure we left with positive impressions nothing to complain or negative We surely stay there for our next visit . Emplacement calme, appartement spacieux et lumineux, place de parking. Propriétaires sympas. Grandes chambres avec éviers. Draps de lit fournis ainsi que le nettoyage compris dans le prix. Op een kleine 10 minuutjes wandelen ben je op het strand! De tramhalte kom je hierbij dan ook voorbij. Voor de kinderen is er in de buurt ook veel te zien en te beleven. Zo is er een speeltuintje in de buurt, gocart verhuur in de straat. Bakker, frituur, beenhouwer, bank, broodjesbar,... alles meteen op wandelafstand. Dus je hoeft je auto niet te gebruiken om ergens naartoe te gaan. Er waren lakens op de bedden zonder dat we hiervoor meer moesten betalen. Goede ontvangst, flexibel in aankomst. Genoeg ruimte voor 5 personen. 10 min van strand en tram. Lock in a great price for Driemaster – rated 8.1 by recent guests! Just 1,650 feet from the sandy North Sea Beach in Westende, you can find the self-catered Driemaster, offering modern accommodations, a private garden and a terrace. Free public parking facilities are provided. The apartment is fitted with a seating area, a TV and a DVD player. A kitchen with a dining area is available. The bathroom is equipped with a bath, a toilet and a sink. 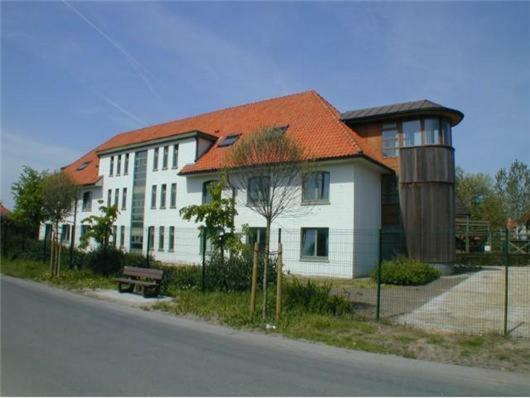 Within walking distance from Driemaster, in Westende’s center, you can find a number of restaurants, shops and supermarkets. 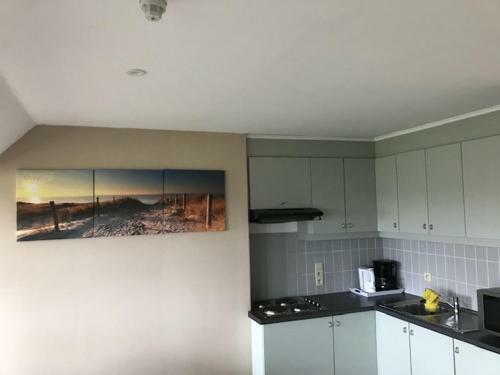 Westende Sint-Laureins Tram Stop is 2,950 feet from the property and provides easy connections to several other seaside resorts, such as Knokke, Ostend and De Panne. Westgolf Golf Court is 0.7 mi away. When would you like to stay at Driemaster? This apartment features a living room with a TV and a DVD player. It comes with a dining area, a kitchen and a bathroom. Rustige ligging op 500m van strand en tram halte . Mooi tuin ,op enkele voet stappen bakker ,slager ,frituur ., fietsen verhuur ,restaurants . We zorgen voor een persoonlijke ontvangst. Het appartement is gezellig ingericht met recent meubilair,goed onderhouden,netheid is voor ons belangrijk . De eigenaar is een Elektieker en heeft als hobby voetbal kijken van de zoon . House Rules Driemaster takes special requests – add in the next step! A EUR150 damage deposit is required on arrival (around USD169.54). This deposit will be fully refunded at check-out, as long as there isn't any damage to the property. Please note that the fixed amount stated in the prepayment conditions is a damage deposit. It is required upon arrival, and will be refunded after an inspection of the apartment on the day of departure. Please inform Driemaster of your expected arrival time in advance. You can use the Special Requests box when booking, or contact the property directly using the contact details in your confirmation. A damage deposit of EUR 150 is required on arrival. That's about 169.54USD. This will be collected as a cash payment. You should be reimbursed on check-out. Your deposit will be refunded in full, in cash, subject to an inspection of the property. No towels, having to make up your own beds with provided linen.